GUO JiaJia, SUN GuoQiang, MEN HongJian, ZHU WenJun, MA JinYe, ZHU Jun, GUAN Bin, SHI JiAn. 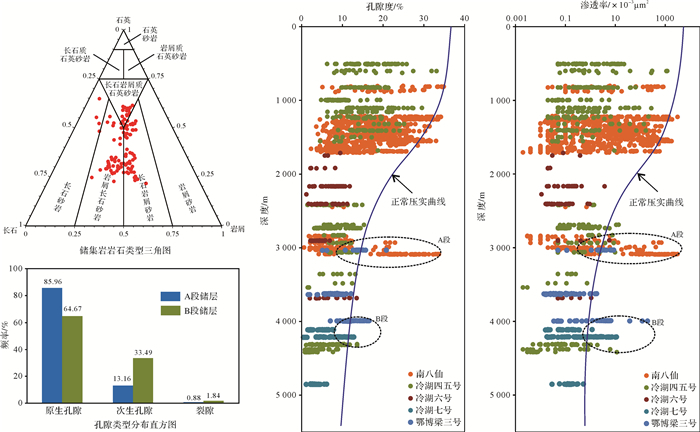 Genetic Analysis of Anomalously High Porosity Zones in Deeply Buried Reservoirs in the West Part of Northern Edge of Qaidam Basin, NW China[J]. ACTA SEDIMENTOLOGICA SINCA, 2018, 36(4): 777-786. Abstract: According to drilling data, core samples and casting thin-sections, and combined with data from scanning electron microscopy, X-diffraction, physical property statistics and well logging, the physical properties and main controlling factors are discussed in this paper for the anomalously high porosity zones in the deeply buried reservoirs in west part of northern edge of the Qiadam Basin, northwetern China. The reservoirs buried over 3 000 m in the study area were mainly formed in the Paleogene, and there were a suite of detrital deposits of braided river delta-shallow shore. The grain sizes are small, mainly in a range of silt-fine sand. The lithologies are mainly feldspar lithic sandstone and lithic feldspathic sandstone. The pore types are dominated by intergranular pore, followed by secondary pore, and a few cracks. The pores and throat paths are well matched. 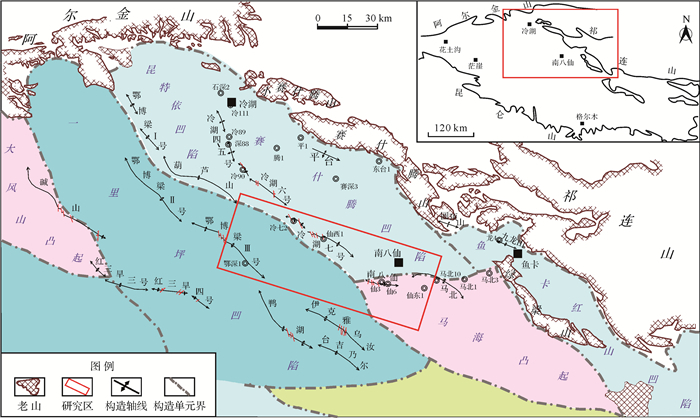 The sandstone formed in the distributary channel of braided river delta front and shore-shallow lake have less argillaceous matrix with better compositional and structural maturity, which are the fundamental conditions for the high quality reservoirs formation. The carbonate cements formed in the early digenetic stage play a supporting role among particles, which effectively resist to the compaction. The thick layers of under-compacted mudstone on and below the reservoirs are key factors for the preservation of primary pores, the discharge of fluids in the pore was hampered. So the fluids bear parts of the loads and lead to the preservation of the pores. Schmidt V, McDonald D A. The role of secondary porosity in the course of sandstone diagenesis[M]//Schole P A, Schluger P R. Aspects of diagenesis: based on symposia sponsored by the eastern and by the rocky mountain sections, the society of economic paleontologists and mineralogists. Tulsa, Okla: SEPM Special Publication, 1979, 26: 178-207. 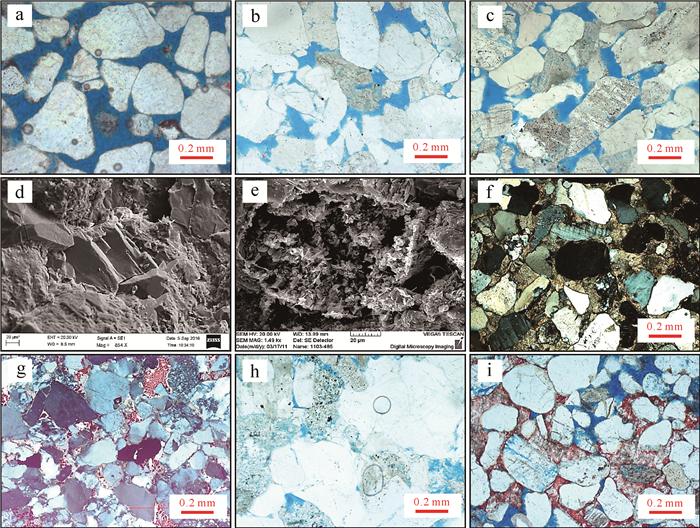 Houseknecht D W. Assessing the relative importance of compaction processes and cementation to reduction of porosity in sandstones[J]. AAPG Bulletin, 1987, 71(6): 633-642. Paxton S T, Szabo J O, Ajdukiewicz J M, et al. Construction of an intergranular volume compaction curve for evaluating and predicting compaction and porosity loss in rigid-grain sandstone reservoirs[J]. 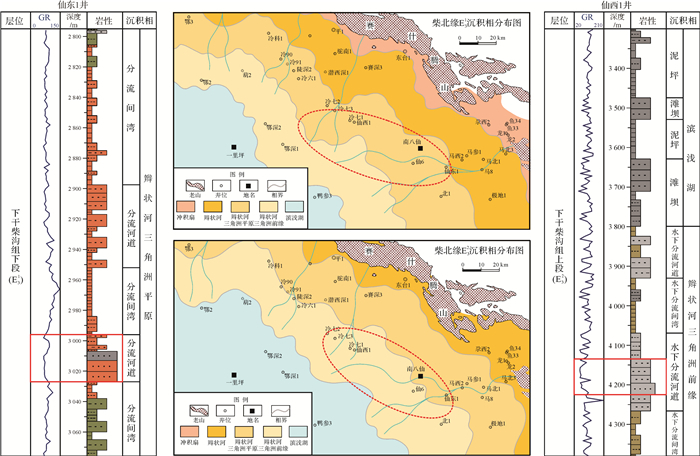 AAPG Bulletin, 2002, 86(12): 2047-2067.